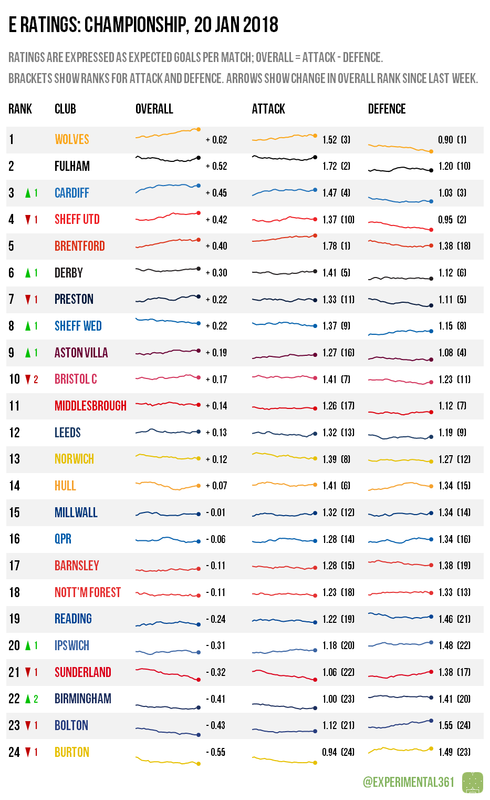 It will shock nobody to learn that Wolves are the best-rated team in the division and continuing to climb, despite a shock defeat by Forest this weekend. Fulham have rediscovered their mojo lately with a sharp upturn in performances, underlined by a 6-0 demolition of struggling Burton. The Brewers look to be the division’s weakest team, with Birmingham and Bolton also struggling, and it will be interested to see if Chris Coleman can arrest Sunderland‘s precipitous slide. 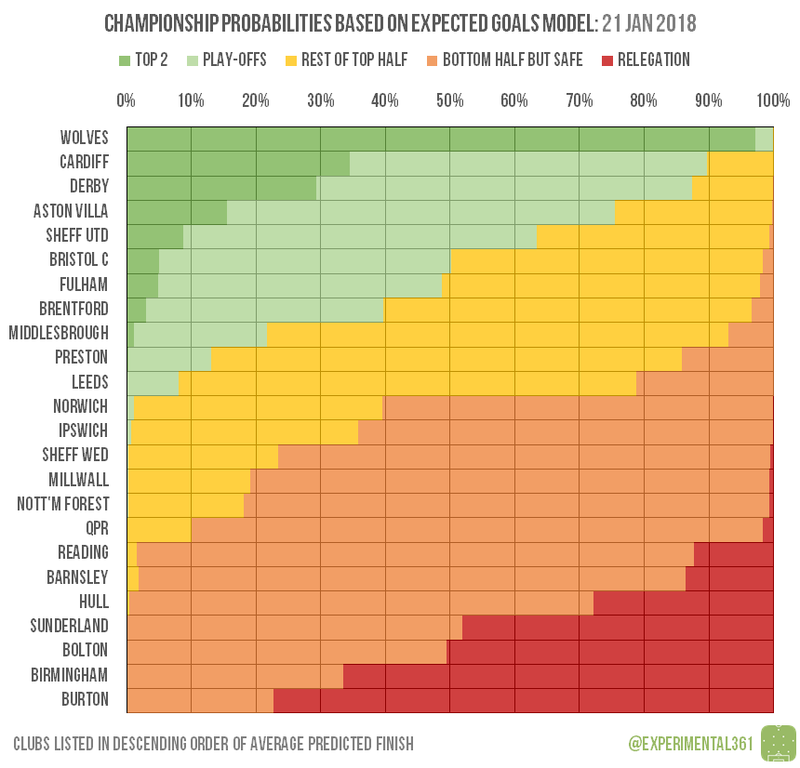 Wolves are strong favourites to go up – again to the surprise of no-one – with Cardiff and Derby contesting the remaining automatic promotion spot most convincingly. There’s still plenty of life left in the play-off race, with Bristol City, Fulham and Brentford the outsiders looking most capable of carving out a top six spot. The relegation battle is also wide open – while Burton and Birmingham – seem likelier to go down than survive, the final berth in the bottom three has at least two possible occupants in Sunderland and Bolton, but a few others could still get dragged in.